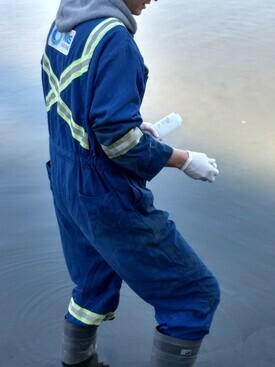 Providers of API Tank Hydro Testing and Pipeline Hydrostatic testing, Water management, sewer bypass, river bypass, well point dewatering in Canada. Everyone at NCS Fluid Handling Systems believes that our services are more than just moving water and the team works hard to offer the complete package of services with engineered designs, detailed site plans, and a complete documentation package. NCS Fluid Handling Systems knows that ourclients have unique needs and that the entire team at NCS Fluid Handling Systems team considers those needs when evaluating and developing the solutions required to make our clients successful. NCS Fluid Handling Systems goals are to deliver the highest of standard of service to all areas of service whether it is an API 650, API 620 or 653 Storage Tank Hydro-Test, Wellpoint Dewatering Systems, Sewer Bypass or a River Diversion anywhere our services are required across Canada. NCS Fluid Handling Systems is among the only service providers to have a permit to practice engineering and incorporates engineering principles along with LEAN processes to provide functional systems and solutions at a competitive price without compromise to safety or quality of service. NCS Fluid Handling Systems also provides Hydrotesting and related support services for Pipeline Testing, Industrial Water Heating, Dewatering, Particulate Filtration, Hydrocarbon Removal, Sewer Bypass, Water Transfer and Speciality River Bypass services to all markets in Canada. The entire team at NCS Fluid Handling Systems is proud to serve the industrial, municipal and energy sector. On all job sites, the NCS Fluid Handling Systems focus is to offer a highest level of customer service, with customer care, safety and a strong quality plan foremost. If your projects require, Water Transfer, Sewer Bypass, In creek diversion, water diversion licensing, operation tests of storage tanks and storage tank equipment such as floating roofs or rolling ladders, or filtration prior to disposal, this NCS Fluid Handling Systems team can confidently deliver on time and under budget. As water is valued as one of our valuable resources the NCS Fluid Handling Systems environmentally sustainable goals is to reaturn the water we use completely and cleaner than when we sourced it. Send us a message or call us at 780-910-7951 to get in touch with us for any comments, concerns, or questions you may have, or request a quote.